This error code indicates that either you or the other players you are connecting with are experiencing a problem with the network environment, and this is causing the difficulties for communication and online matchmaking. If you are using a public network, this could be the cause of your issue and in some cases it might be difficult to fix it without contacting the network administrator. If you are using a secure/personal network, please try the following before contacting Customer Support. Is your Wii U system up to date? Please follow the instructions below to see if your device is running the latest system version. a) Select System Settings on the Wii U Menu. b) Scroll to the right and find System Update, then tap the icon. c) Tap Update to begin the update. If you receive a message telling you that your system is already up to date, tap OK to end the process. If it shows a version you can install, follow the instructions to proceed with the system update. 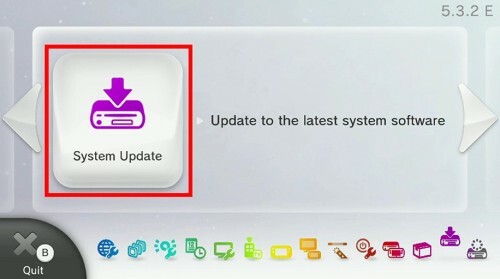 Please note: please make sure to keep the Wii U GamePad plugged in during the update as it may take a while. a) Go to System Settings on the Wii U Menu. b) Select Internet icon (A Button to confirm) > Connect to the Internet > then Connection List. c) Select your internet connection, and then Connection Test. d) The result shows if there are any connection problems either between your Wii U and your network device, or with the internet. Please also take a note of the Support Code on the bottom-right corner of the screen (if one displays), as you might need it when you Contact Us. Restart your network device (router, access point, etc.). Remove any obstacles around the device and keep devices apart by 2-3 metres. Stop using electronic devices such as microwaves and wireless phones for a moment. Input the security key of your network device into the Wii U correctly. 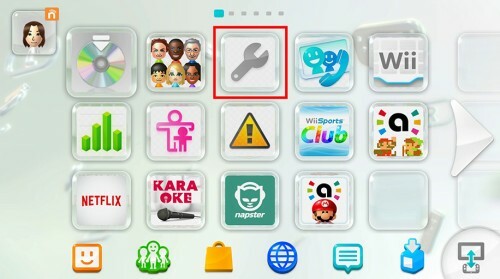 To do this, on the Wii U Menu, go to Settings > Internet > Connect to the Internet > Connection List > select the connection with Wii U/Wii logo on it > Change Settings > Security. Then select the correct security and input the correct information. If this doesn’t work, try again later: it’s possible that your network is temporarily unstable or is busy. Check if other devices (cell phone, tablet, PC, etc.) using the same access point have stable internet connection. Check if all the cables are correctly inserted, and not damaged. Set the MTU (Maximum Transmission Unit) value on your Wii U system to 1300. 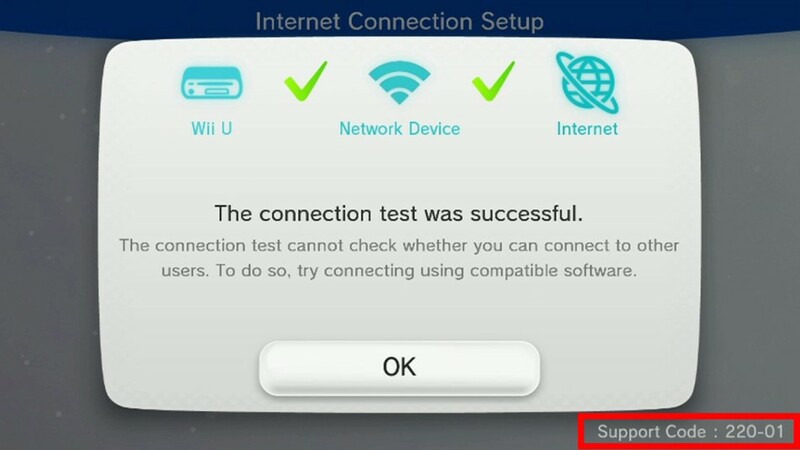 To do this, select Settings > Internet > Connect to the Internet > Connection List > select the connection with Wii U/Wii logo on it > Change Settings > scroll twice to the right > MTU Value > Input 1300 > OK. If the problem still persists, please proceed to the following Advanced Solutions. Usually you only need either No. 3 or No. 4. If you’re unsure about following the instructions, please ask a friend or family member to help you. a) First, please make sure an IP address is manually assigned to your Wii U system before enabling the DMZ mode. b) Log in to your router’s setup page. c) Find “DMZ” or “Demilitarised Zone”. It depends on the router, but you’ll probably find it under Security, Application, Firewall or Gaming, etc. d) Follow the instructions from your provider and enable the DMZ feature. e) Enter the IP address of your Wii U system. g) Try to connect online with your system, and check if you can play against other players without problems. Please note: It may take a short while until the DMZ settings are applied. a) First, please make sure an IP address is manually assigned to your Wii U system before setting up port forwarding. c) Find “Port Forwarding”. It depends on the router, but you’ll probably find it under Security, Application, Firewall or Gaming, etc. g) Try to connect online with your system, and check if you can play against other players without problems. It may take for a short while until the port forwarding settings are applied. Name of the manufacturer and the brand of your network device (Wi-Fi access point, WLAN router, etc.). Serial number of your Wii U console.